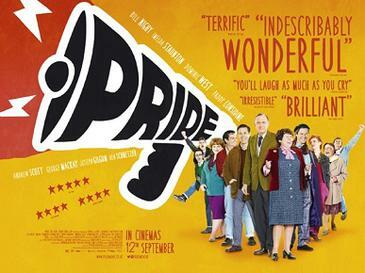 ‘Pride’ is a terrific example of the great little sub genre that is ‘British Working Class’ films, and it shares a lot of similarities with its 90’s predecessors, ‘The Full Monty’ and ‘Brassed Off’, which also tackles the miners strikes in an interesting way. In the case of ‘Pride’, this follows the true story of a group of lesbian and gay activists who decide to start raising money to help striking miners, which eventually leads to them bypassing the miners union and supporting a small town in Wales directly. A lot of the comedy in the film comes from the culture clash of brash, enthusiastic activists visiting a small mining town full of people who don’t approve of the activists lifestyle. The success of the film comes from the characterisation and the joy in watching these characters break the barriers between them down to work towards a common goal. One of the most remarkable achievements of the film is how it manages to successfully tell so many individual stories without damaging the overarching plot, and how strongly fairly minor characters manage to resonate with the audience. This is helped by the excellent cast ranging from some of Britain’s most loved actors such as Bill Nighy and Imelda Staunton, to younger actors George MacKay, Joseph Gilgun and Ben Schnetzer, who arguably steals the show. There’s also good roles for cult TV stars Dominic West (The Wire’s ‘McNulty’) and Andrew Scott (Sherlock’s ‘Moriarty’) as older activists, and the always excellent Paddy Considine. The characters may be fighting different battles, but they learn to appreciate that working together is the best way to achieve their common goals and this leads to a fantastic partnership that went further than I would have imagined.